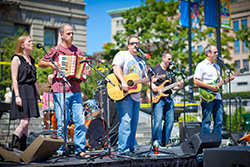 The mission of the Cultural Development Division is to administer the cultural development agenda and support equal access to arts and culture throughout the city and to execute the programs and administer the affairs of the Worcester Arts Council as established and authorized under these ordinances. Connect entrepreneurs and property owners with creative space development. Marketing Worcester’s creative assets to the region and beyond. Engagement in planning initiatives to produce and support creative economic development. The City of Worcester is a center for creative activity. 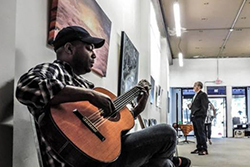 From visual arts to performance art to writers of every genre, Worcester embraces the creative economy and its workforce. Worcester's diverse neighborhoods and stately architecture offer live, work and retail space for artists of every stripe. 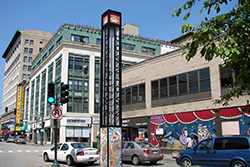 A public-private partnership between the City and its business, higher education and cultural communities, this project is intended to develop a wayfinding system capable of guiding visitors to their destinations while providing a sense of Worcester's rich cultural history and future. 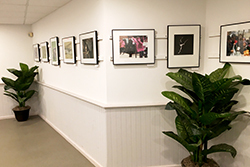 Worcester Windows is a community gallery program which uses storefronts throughout downtown Worcester as exhibit space to enhance the City’s downtown and to provide display opportunities for local emerging and established artists. 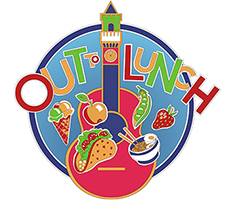 The Out to Lunch Festival and Farmers' Market is the place to enjoy local fresh produce, food, crafts and entertainment on Thursdays at the Common throughout the summer!